Russia plans to deliver a magnetic 3-D bioprinter capable of growing living tissues and eventually organs.to the International Space Station (ISS) next month, TASS reports. The Organ-Avt bioprinter, built by 3D Bioprinting Solutions, is a copy of one that was lost in the abort of the Soyuz MS-10 mission on Oct. 11. Russian cosmonaut Alexei Ovchinin and NASA astronaut Nick Hague parachuted to safety after a malfunction of their Soyuz-FG booster. The bioprinter, which also can be used to used to study the effects on living organisms during long-duration spaceflights. will be carried to ISS aboard the Soyuz MS-11 spacecraft. The spacecraft is set to lift off from the Baiknour Cosmodrome on Dec. 3 with Russian cosmonaut Oleg Kononenko, American astronaut Anne McClain and Canadian astronaut David Saint-Jacques aboard. TASS reports that Roscosmos will have a final report on the abort of a Soyuz crew launch to the International Space Station on Oct. 30. Russian cosmonaut Alexei Ovchinin and NASA astronaut Nick Hague parachuted to safety aboard their Soyuz MS-10 capsule. “Having listened to reports of the experts investigating causes of the emergency, members of the emergency commission have approved, after a detailed examination, a draft report on causes of the incident and begun drawing up recommendations to prevent similar situations in the future,” the statement says. “The final report and list of recommendations for the space industry enterprises will be approved on October 30, 2018 and will be submitted to chairperson of the State Commission for Flight Tests of Manned Space Complexes,” it says. Following a smooth liftoff, the Soyuz’s booster malfunctioned between the first and second stages of separating, whereupon the crew was forced to abort the flight and switch to ballistic descent. The manned Soyuz MS-10 spacecraft ended up landing in the Kazakh steppe. The Soyuz MS-10 crew were not hurt. Video of the flight indicates that one of four strap-on boosters that form the first stage failed to separate properly from the core booster. Media reports the booster might have been improperly installed. 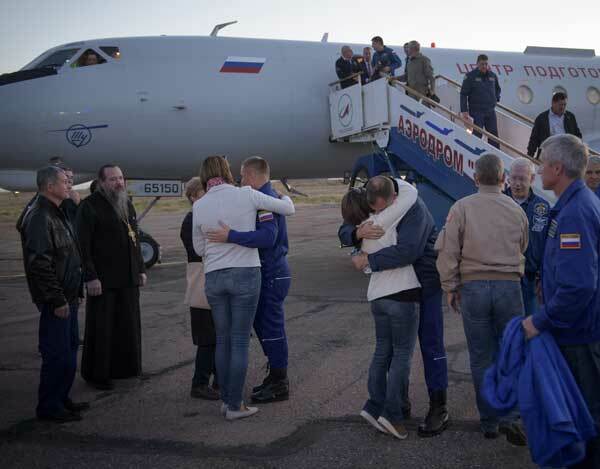 BAIKONUR, Kazakhstan (NASA PR) — American astronaut Nick Hague and Russian cosmonaut Alexey Ovchinin are resting comfortably in the city of Baikonur, Kazakhstan, after an anomaly occurred shortly after their launch. On October 11, American Astronaut Nick Hague and Russian Cosmonaut Alexey Ovchinin will launch to the International Space Station on a Russian Soyuz MS-10 spacecraft from the Baikonur Cosmodrome in Kazakhstan. Administrator Bridenstine is scheduled to attend the launch and plans to meet with Mr. Rogozin. This will be their first in-person meeting. 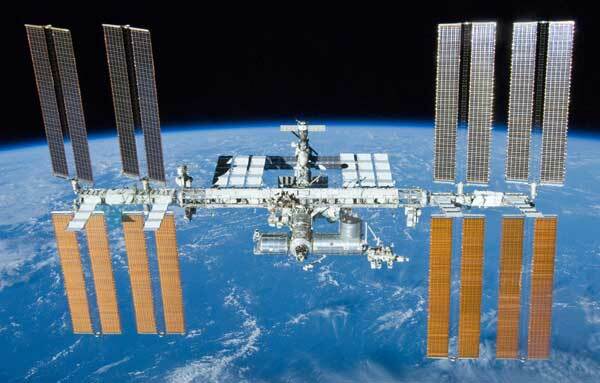 They had a telephone call on September 12 during which they discussed the International Space Station leak.